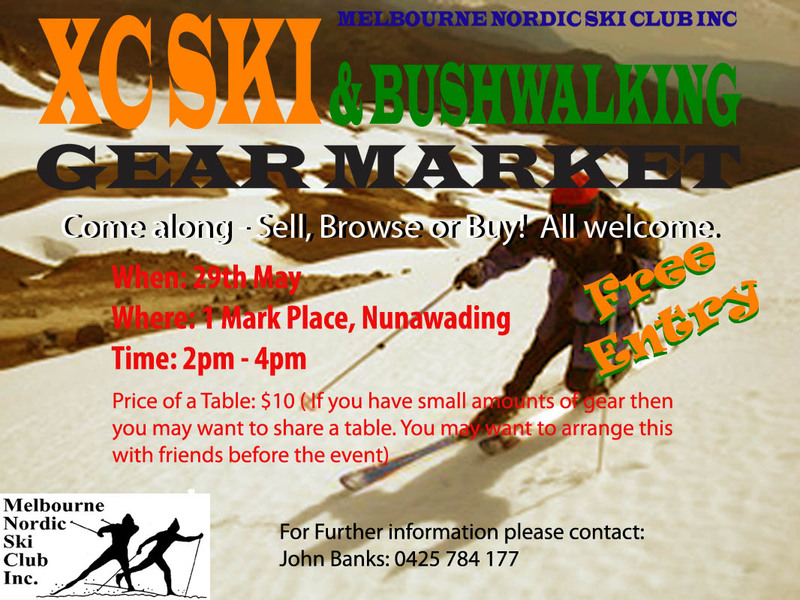 The Melbourne Nordic Ski Club is organising a sale of XC ski and bushwalking gear in Melbourne on May 29, 2011. The sale is open from 2pm to 4pm at 1 Mark Place Nunawading. See the event flyer below and also the MNSC website for more details. A Level 1 Cross Country Skiing Coaching Course will be held in Canberra on the weekend of June 25/26, 2011. The 2-day course is designed to educate coaches about how to train skiers for competition at junior or beginner levels. The Ski & Snowboard Australia Cross Country Committee (SAXC) is seeking expressions of interest for a High Performance Development Coordinator to work with the National Cross Country Ski Team. The role will also involve additional work on several SAXC projects. The position will be part-time from June 1 to October 30 2011 and will work directly to the National Team Coach and High Performance Manager. Responsibilities with the High Performance program include coordination of National Team training camps, monitoring of junior team training, equipment and uniform distribution, liaison with state team coaches/managers and coordination of coach education. Additional SAXC projects will likely include coordination of an update of competition rules, publication of a cross country competition handbook, and coordination of a Cross Country Ski Congress. Interested persons should contact Finn Marsland on finn.marsland@gmail.com or 0408 147940. As for 2010, most championship events will use an online entry system. When these entries are active links will be posted on the calendar page.